White Papers Authored by Chi Rho Consulting and Our Strategic Partners on Strategic Planning, the Startup Funding Process, 360° Demand Generation Strategy, Business Analytics, Brand Strategy and Marketing Strategy. Our strategic consultancy specializes in Strategic Planning, Business Analytics, Demand Generation, Brand Strategy and Marketing Strategy for startups and expansion stage companies. We also help entrepreneurs secure Venture Capital for their new business ventures and/or Capital Acquisition to expand or diversify their operations. Our white papers cover a wide range of topics of interest to startup and expansion stage organizations. These white papers present Chi Rho Consulting's philosophy on the topic and often include case studies. Through the years, we've helped our clientele overcome a wide range of issues associated with scaling, process improvement and risk avoidance and our white papers address some of the most pressing topics entrepreneurs face today. 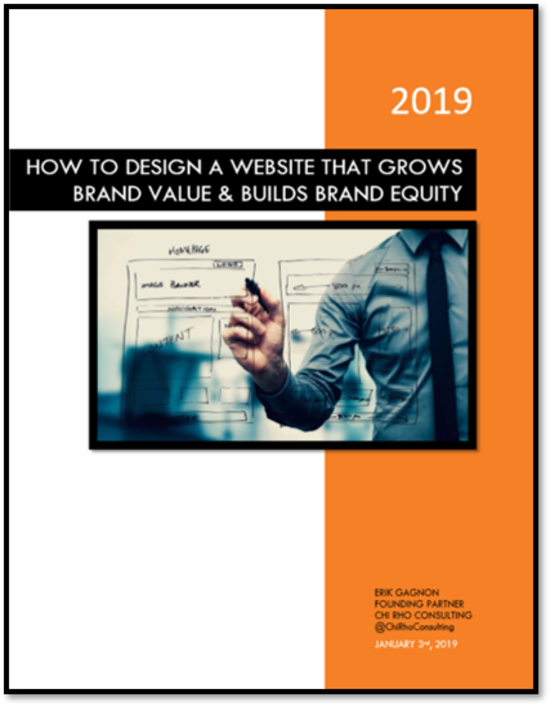 This white paper outlines 12 critical web design rules that will help your organization squeeze the most out of your website. Whether you’re a design novice or seasoned professional, following these rules are a must if you want to create a compelling brand that sets you apart from your competition. In other words, effective web design is crucial to your mission. A high-quality website greatly increases the value of your brand in the minds of your target audience. Furthermore, wise investments in your digital assets ultimately build brand equity for your organization. 41 pages. 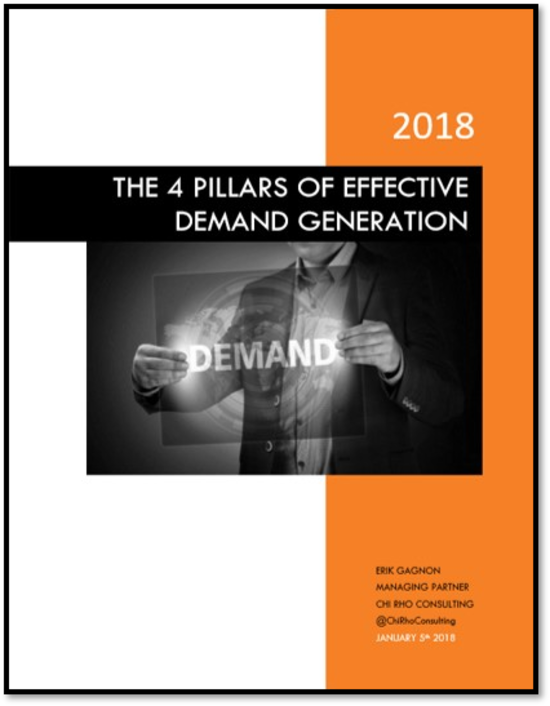 The white paper includes an Executive Summary with key findings as well as our conclusions for organizations looking to adopt Demand Generation strategies or optimize their current Demand Gen activities. 22 pages.